The conference RFID CARD presentation was then closed with a panel discussion attended by the actors of the supply chain RFID Italian, who commented that these positive developments will lead openings in the Italian market. Should be emphasized that, unfortunately, during the conference, have not touched two issues of strategic importance: health and privacy. 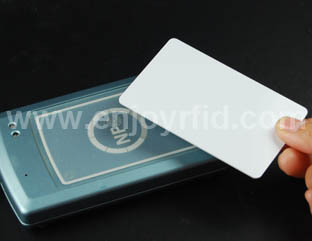 As pointed out in previous articles published on RFID Computer Point, a strong limitation to the development of the technology is given by the data processing necessary for the use of RFID tags in public places. It is also important to carry out research on the alarm bell on health launched by recent research on the effects of radio frequencies emitted by certain types of RFID tags. Manufactured by sudafricanaTrolleyscan, it is a device that uses three or more directional antennas to identify the spatial position of the RFID tag. The limit of this technology in Europe is about 4 meters for passive tags, and 20 meters for those semipassivi. The precision of spatial location is in the order of 50 cm on single reading but even 1 millimeter with regard to linear displacements.